e.g. frozen food, vegetables, biscuits, sweets, ready meals, bakery products , bulk product, other pieced products and bagged products. HSA/60-2/V5 is a fully automatic carton former with a single, double, triple or quadruple forming tool for erecting and forming punched cardboard folding box blanks of different designs and structures that are joined together by heat sealing, tuck-in or hotmelt at the bottom side flaps. 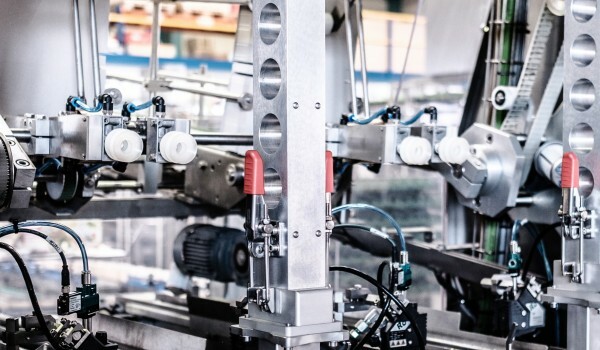 Using a rotary or cam guided depositor, vacuum suction cups remove the blanks from the pneumatically driven magazines and put them on a transport section. The transport section transports the blanks into a pre-station to heat them (hot air) or to apply glue (hotmelt). After this the blanks are pushed in the erecting tool. Each forming head is individually driven by a servo motor. The tool forms the carton and fixes it by tuck-in, hot air-sealing or hotmelt-gluing. After that the formed cartons or trays leave the machine in order to be filled with product. 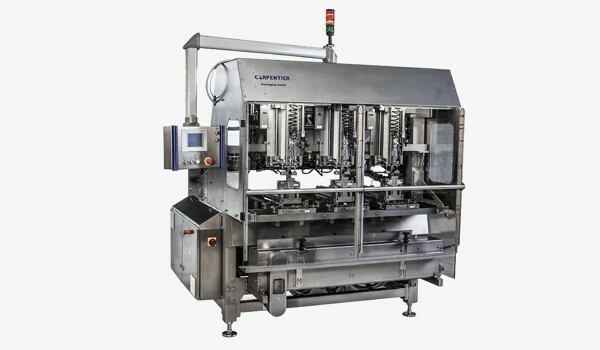 The former HSA/60-V5 is also suitable to produce formed trays (without top lid).